Eric Opoku Agyemang’s journey towards founding Patriots Ghana began at the age of 10 when his father unexpectedly passed away. According to local custom, when a married father dies, his wife must go live with the father’s family for one year. The father’s family also inherits any assets or property which the family owned. Because of this custom, Eric’s mother lost her business and the money needed to send Eric and his three brothers to school. Using a network of supportive family and friends, Eric and his siblings received the education they all yearned for. While in senior high school, Eric promised his mother that if he ever was in a comfortable financial position, he would use his resources to give back to society just as it had given to him. He became familiar with non-profit work after joining a student run charity organization while attending Kwadaso Agricultural College. During his one year of national service as a District Project Coordinator with the National Disaster Management Organization, Eric was also volunteering as an Agriculture Science teacher at CKC International School. He was soon promoted to the Head of Boarding Department which afforded him the opportunity to support three students with his extra income. In 2006, after his national service, Eric was appointed by the State House as a District Agronomist to manage the Ghanaian President’s Project on Oil-palm in the Kwahu West District. 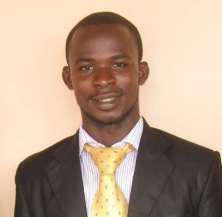 He left that post in 2007 to become the Headmaster of the Great Promise School Complex in Kasoa. This position finally allowed him to honor the promise he made his mother years earlier when he co-founded a community based organization with his friend Bright Fiatsi called Cheerful Hearts Foundation. Wanting to expand the scope of their influence, Eric together with other passionate Ghanaians founded Patriots Ghana as a bigger platform to unite all Ghanaians who are passionate about the nation’s development and to combine resources to make a huge impact in Ghana’s development nationwide. Eric is also a Global Giving Mentor and assisted Rwanda Development Organisation with strategies to raise funds during the December 2012 Global Giving Challenge. He is also a team member of the ENDHIVNOW (www.endhivnow.org) project initiated by the World Initiative for Science and Healthcare (WISH) based in California.